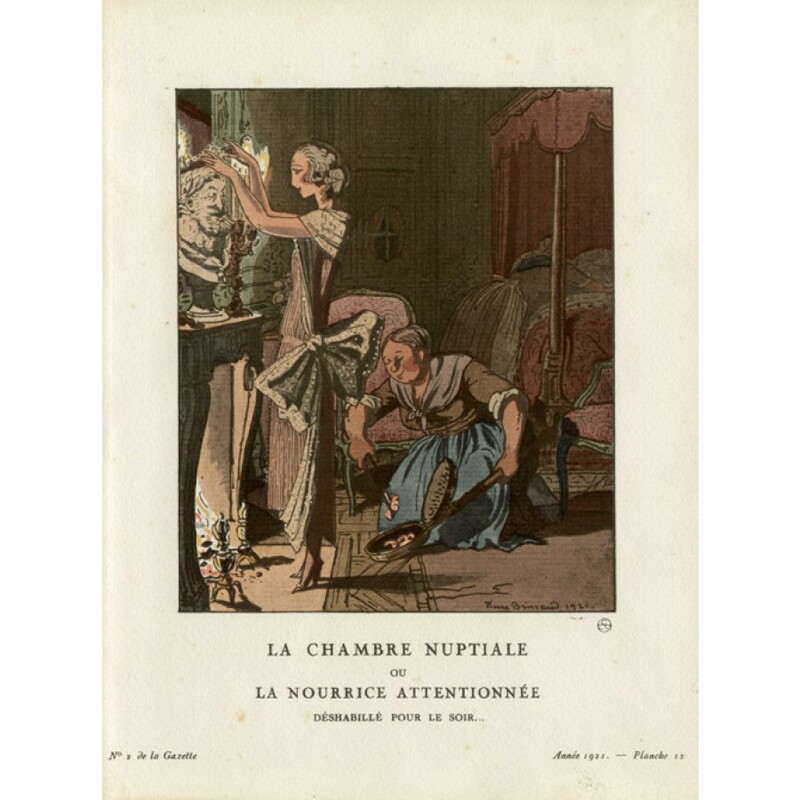 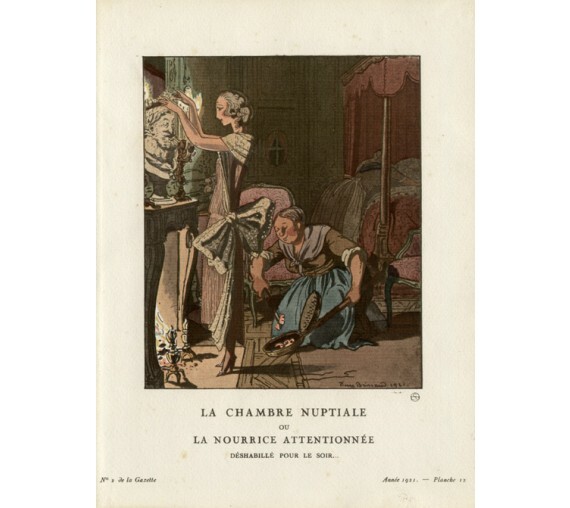 La Chambre Nuptiale ou La nourrice Attentionnee deshabille pour le soir..." Pierre Brissaud was a French Art Deco illustrator, painter and engraver. 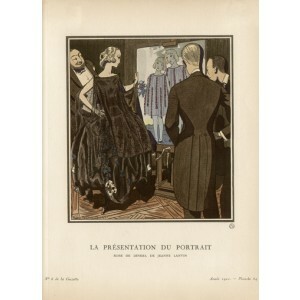 He was born in Paris, France and trained at the Ecole des Beaux-Arts and Atelier Fernand Cormon in Montmartre, Paris. 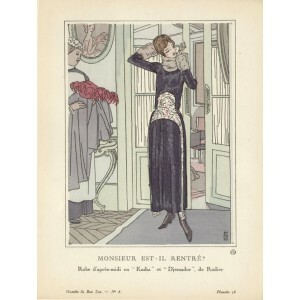 He is known for his pochoir (stencil) prints for the fashion magazine Gazette du Bon Ton published by Lucien Vogel, Paris. 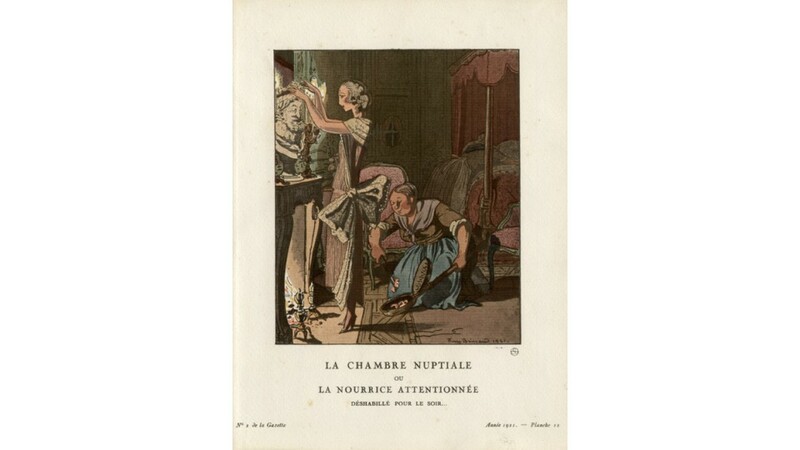 Many of his illustrations are realistic leisure scenes of the well-to-do. 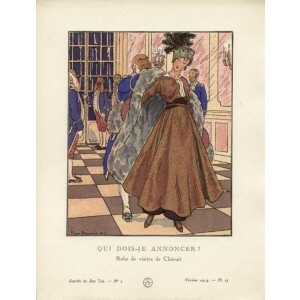 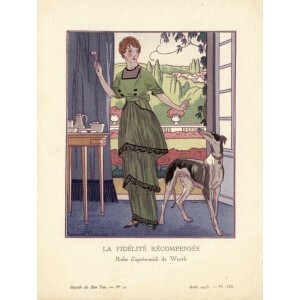 They illustrate the designs of Paris fashion houses such as Jeanne Lanvin, Cheruit, Worth, and Doucet.